Organizing Tips & Tricks: Filing & Receipts - Drowning in Receipts? Are you drowning in receipts? Doesn’t it drive you crazy when you can’t find the receipt for an item you want to return? How about those crumpled up receipts in your purse/wallet or worse yet, the receipts in that paper bag next to your desk? Before you can set up a filing system for receipts you need a system that keeps them together, in one place, before you get home to your ‘new & improved’ filing system. I put my receipts in a brightly colored plastic envelope (see below) in my purse. After a couple of days, I take the receipts out of my purse and file them away (quick & easy filing system described under Organizing Ideas.) If that idea doesn’t work for you, you can keep the envelope in your car. THE TRICK IS TO “KEEP IT SIMPLE” AND… DON’T OVERTHINK IT! I’m talking about setting up a filing system for receipts that will make tax preparation easier and in general save you time. BEFORE YOU DELETE MY NEWSLETTER, HEAR ME OUT! It’s easier than you think. It only takes 30-60 minutes. Set it up once and never set it up again. Purchase Pendaflex pocket style file folders (see below) so receipts don’t fall out. Don’t go crazy using too many file folder colors, it’s distracting. The only time to use different colors would be for different family members or a topic that needs special attention. 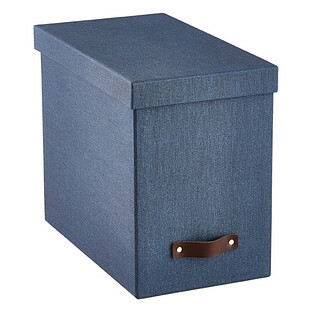 Use a file box on your desk or a file cabinet (see below.) Place it in an easy-to-access location. Handwrite the categories on the tabs. Using a label maker takes longer to use; it will give you an excuse to not label the tabs. Do NOT create file folders for everything! Group some things together, i.e. all insurance (auto, home) in one pocket folder. Place all tabs on the right side of the file folder. Staggering tabs causes eye fatigue because your eyes move from right to left. Once you set up your file folders you never have to do it again! Between December 30 – January 2… remove last year’s receipts and clip them together or put them in individual envelopes. Give the appropriate categories to your bookkeeper or accountant. Use the file folders you created for the following year. easy way to keep receipts organized in a purse or car. Pocket file folders are perfect for receipts because they won’t fall out. 1. 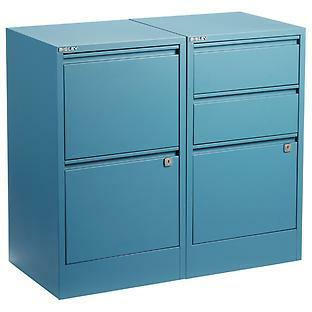 If you have the floor space use a file cabinet. 2. If you don’t have the floor space use a desktop filing system. This one has an open top. 3. My favorite has a lid because it hides the folders. If lifting a lid keeps you from filing receipts, purchase one without a lid.